Today shared massage kiosk design used in shopping mall or luxury resort. Massage kiosk in mall are becoming very popular in nowadays . To success in mall used massage kiosk business . a professional kiosk design will help a lot. Here blow is a classic massage kiosk design for sale. Because those types of massage kiosk are used in shopping mall. So the kiosk must designed with mall criteria. 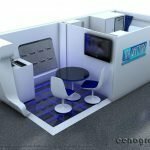 a good kiosk design must have the ability to attract people and have the function area. what kind of massage service kiosk is the best one choose ? here blow are very nice massage bar to share. By looking at this kiosk design , the modern classic outside with stripes for decoration, Those stripes are cut out slot with 8mm gap .You can add poster and Logo advertising poster where needed. Outside is very important for kiosk , Because people can see from far away what is in it . 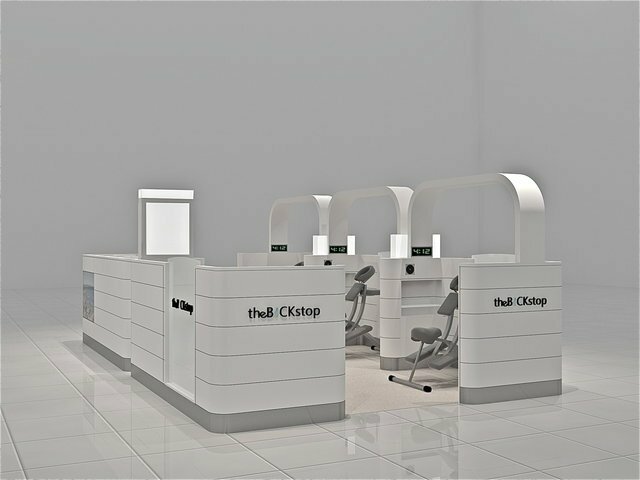 so clean and unique outside design will give people deep impression .This kiosk has 4 work stations with 4 massage chair . and 4 individual waiting sofa Combined . So when stranger waiting together will not get embarrassed . The whole kiosk is divide into tow parts, one side for service .the other side for waiting. all the curved and corner and edges also give passers a warm and friend feeling. The inside of this massage kiosk design is adapt into different small sections. which will give a semi private space for each customer. 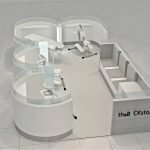 This unique design make the kiosk a multi function .You can also use this kiosk for teeth whiting business . By add a curve light bar on top, you can have enough light in working area. even used for eyebrow threading bar is a very good choice. 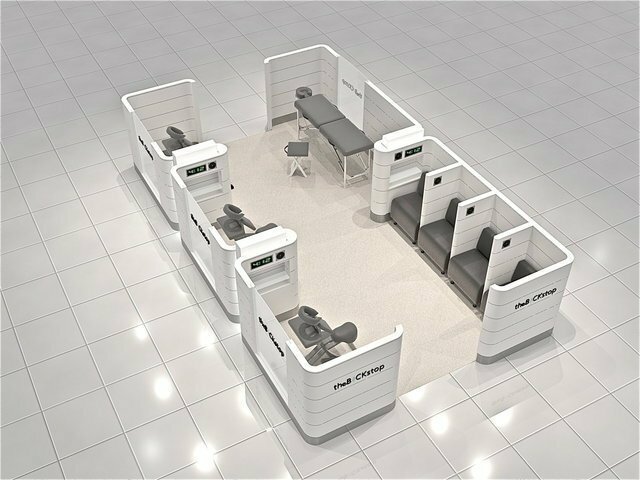 If you want to build a customize teeth whiting kiosk or eyebrow threading bar in mall. welcome to unique kiosk to check our latest design and project.